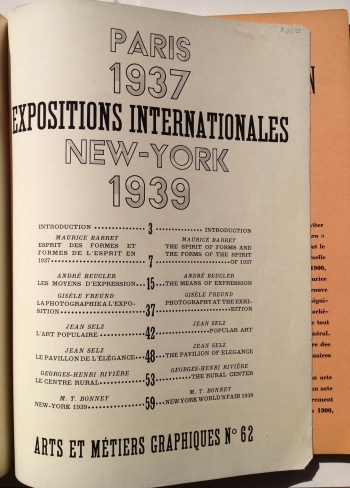 This is Arts et Métiers Graphiques #62 which was a special issue: Expositions Internationales Paris 1937 New York 1939, viagra sale site published 15 March 1938. 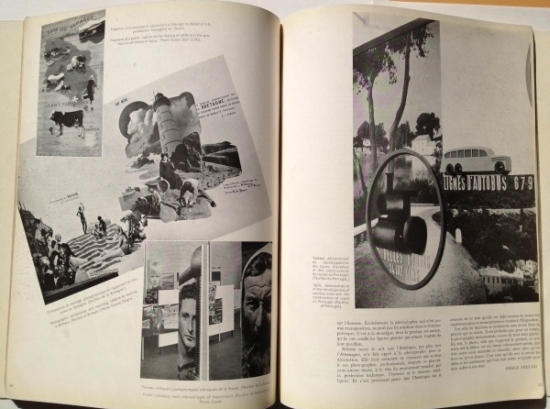 Arts et Métiers Graphiques was a leading and influential graphic design magazine published between 1927 and 1939. 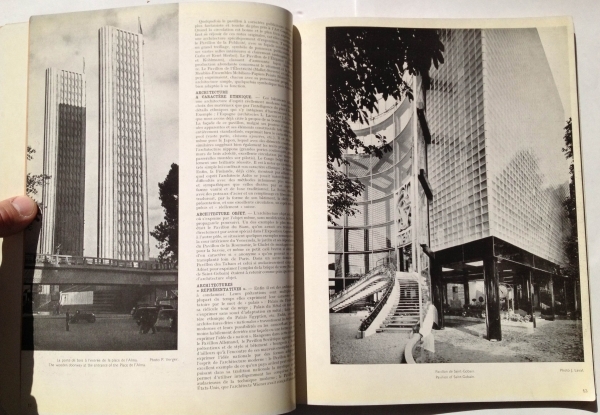 The magazine was founded by Charles Peignot who ran the French type foundry Debemy et Peignot. 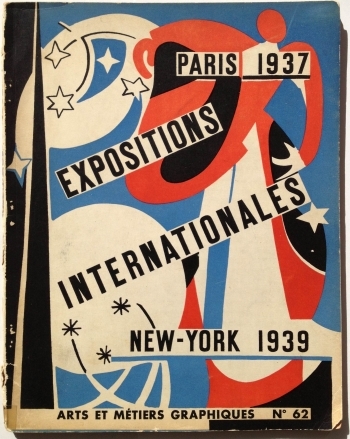 This issue, number 62, broke with AMG’s normal practice of using an “AMG” themed cover and instead featured a beautiful world’s fair themed image. 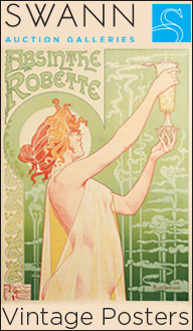 The cover is unsigned. 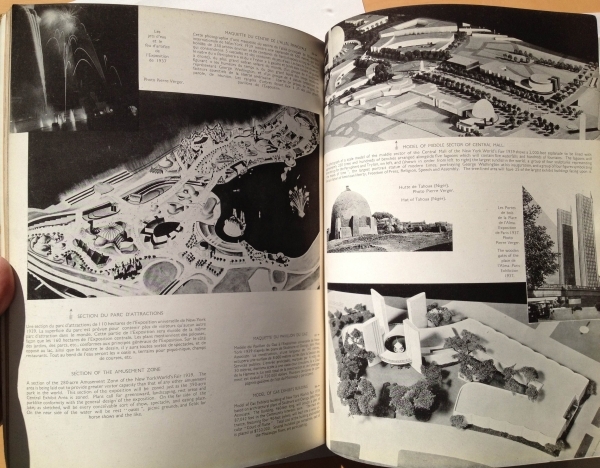 The majority of the issue is focused on the 1937 Exposition Internationale rather than the 1939 New York World’s Fair which was still in construction in early 1938. 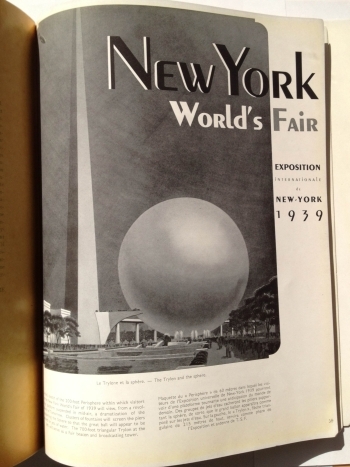 Both fairs represented a bright view of the future that was not to come to pass as the shadow of World War 2 loomed.